Variations on "The Erie Canal"
- Text by George Wither. - Text by William Blake. - Text by Lord Byron. TEXTS BY: W.H. AUDEN (1969). 8. Technical Advice to Persons planning to erect memorial statues of themselves. 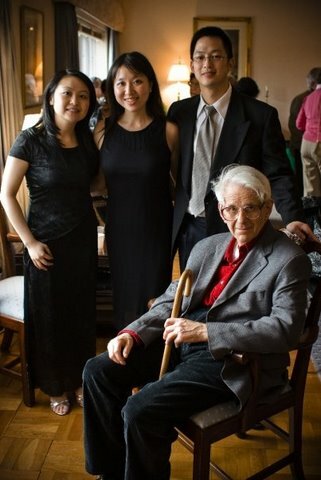 Composer James Cohn (seated) with the La Senorite Trio - Kenneth Chia, Flutist (upper right).